This post is the first in a new feature on Upcoming Pixar where we offer a closer look at Pixar films. 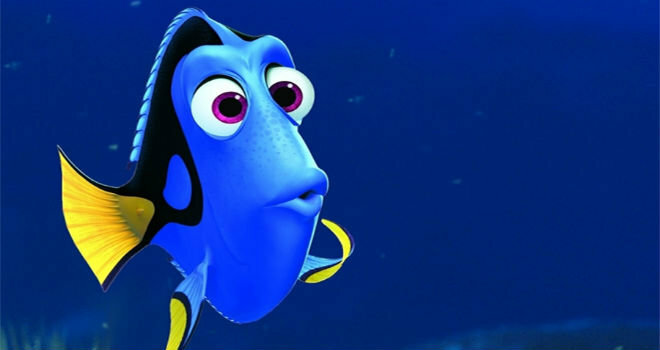 Dory – everyone’s favorite forgetful blue tang. She’s so beloved that she nearly swims away with Finding Nemo. Nearly, but not quite. One reason why that film is such an unparalleled Pixar entry is because Dory as the scene stealing, ebullient comic relief doesn’t ever overshadow Marlin. We still care about him even though he’s not immediately lovable. (Or arguably, lovable at all). Now Dory has a movie of her very own. She’s not stealing any scenes because they all belong to her. In retrospect, focusing the sequel on Dory makes a lot of sense. Andrew Stanton crafted an emotionally resonant story with talking fish that was based on his own observations of fatherhood. That story was finished for the most part. But a new one centered on the silly, eccentric, and carefree secondary character held an ocean of possibility. Of course, Dory isn’t the first goofy Pixar sidekick to become a protagonist in her own film. Mater was the first in Cars 2. But Finding Dory, unlike Cars 2, was enthusiastically accepted by most. While I do enjoy the latter film, I can understand why others have never been thrilled about a Mater centric movie. Cars 2 was disappointing to many because there was nothing meaningful underneath the hoods. Pixar films can just be fun diversions, but that’s a post for another day. But to everyone’s collective relief, the emotional stakes are higher in Finding Dory. Dory’s presence in Finding Nemo makes that film all the more poignant because her silliness contains pathos. She’s not just the hilarious sidekick. Is it any wonder that Andrew Stanton felt “very worried about Dory and couldn’t stop thinking about how she needed closure”? Stanton didn’t work on the sequel right away. It wasn’t until 2011, eight years after Finding Nemo, that he began to consider it. And it clearly took more time to tackle the story before it was officially announced and released into the ocean five years later. This is the usual way sequels are handled at Pixar, with the exception of Toy Story 2. That film had to be salvaged on a tight deadline which makes it all the more impressive. For all the worry about “Pixar’s decline” and reliance on sequels, critics and fans should rest assured. Finding Dory may not be as seamless as its predecessor, but its story is still meaningful. Art continues to challenge, technology continues to inspire. Finding Dory should assuage worry in the same way Toy Story 2 and Toy Story 3 did. But the Cars sequels and Toy Story 4 represent too big of a worry. Apparently, Pixar isn’t allowed any missteps. We’ve already seen this with Brave, Monsters University, and more recently, The Good Dinosaur. Those are films that I love dearly. While Finding Dory should remind everyone that Pixar is still in robust shape, creating a sequel that retains the emotional power of its predecessor, that still isn’t enough for most. But why is Finding Dory so significant, even if it is a dreaded sequel? For starters, it’s only the third Pixar film to feature a female protagonist. A supporting female character with a murky background became much more substantial. Dory was hilarious and heartbreaking in the first film. She still is, but now she’s achieved closure. Her story was given so much love and attention that the sequel, in retrospect, is all the more necessary. And sequels are rarely ever necessary according to the general public. Then of course, is what her short term memory loss represents. It’s not merely there for laughs. Her disability doesn’t hinder her from being kind, generous, and friendly. It doesn’t hinder her from demonstrating empathy or discovering other forms of strength. And probably less important, or maybe even more so, is that Marlin and Nemo, along with new friends Hank, Destiny, and Bailey, do not pity Dory. They recognize all the wonderful things she is capable of, not despite her disability, but precisely because of it. They see her, first and foremost, as a friend they love and care about. She recognizes the same and encourages them despite their own limitations. This is a sequel where the characters either overcome their disabilities or still thrive even if they aren’t cured of them. That kind of message is vital for all ages, but especially for the youngest who do make up a large portion of Pixar’s audience. When Stanton first revealed how Dory’s disability would be treated (in this excellent interview with Collider), I was reminded of “Toy Story of TERROR!” That short film, like Finding Dory, made a vivacious supporting female character the lead. Jessie’s role in Toy Story 2 functions the same way as Dory’s in Finding Nemo. She adds more emotional weight. In “TERROR!”, Jessie overcomes her claustrophobia in order to save the day. Many fans even praised the sensitive way her panic attacks and anxiety were depicted. Compare that to Dory’s unflagging optimism in Finding Nemo, along with her insistence that there’s always another way in the sequel. These are two female characters who confront or embrace their weaknesses and disabilities. They refuse to give up even when they’ve seemingly exhausted all their options. Jessie and Dory assist the male hero but they are well rounded supporting characters in their own right. Jessie was introduced in a sequel while Dory was re-introduced in one of her own. Holly Shiftwell in Cars 2 was Mater’s romantic interest, but she was also a highly skilled secret agent. Whether The Incredibles 2 features any prominent new female characters remains to be seen. Could Helen and/or Violet be protagonists this time around? They’re still compelling even as secondary characters. Cruz Ramirez in Cars 3 is a crucial character, but she’s supporting Lightning McQueen. No doubt she’ll be fun to watch and we should hope for a positive, non stereotypical representation of her Hispanic background. Now onto Toy Story 4. Woody will be reunited with Bo Peep in a love story. Bo Peep is really the only female character in a Pixar film who is merely peripheral. She had less screentime in Toy Story 2 because, as a porcelain lamp, it wasn’t logical that she’d be able to travel with the other toys around the tri-county area. Her absence in the third film was also a logical choice for the story. It was meant to show that losing friends is inevitable, but also made sense because Molly wouldn’t have assigned Bo Peep any sentimental value and held onto her like Andy did with his toys. Bo Peep isn’t a dynamic character, but that’s not an issue. She may be on the sidelines, but so are Slinky, Rex, Hamm, and Mr. Potato Head. They’re all colorful, interesting characters, but the motivations and character arcs are reserved for Woody and Buzz. We don’t know what to expect from Toy Story 4 just yet, but given Pixar’s track record, I think it’s safe to assume that Bo Peep will be an even stronger character in this upcoming installment. For those who scoff at sequels and Pixar’s recent proliferation of them, their future does appear bleak. It’s much easier to look at Cars 2, Monsters University, Cars 3, and Toy Story 4 as proof positive of Pixar’s decline than to look past those films and remain eager about what else is yet to come. What’s ironic is that no one harbors this kind of pessimism for The Incredibles 2. Doesn’t that film have just as much potential as the others to be unspectacular? The general consensus of course is that The Incredibles 2 is the only sequel capable of being good. But Finding Dory and the Toy Story sequels have proven that to be untrue. Even if Cars 2, Monsters University, and The Good Dinosaur are regarded as weak efforts, that still doesn’t mean that Pixar’s creative quality has declined. 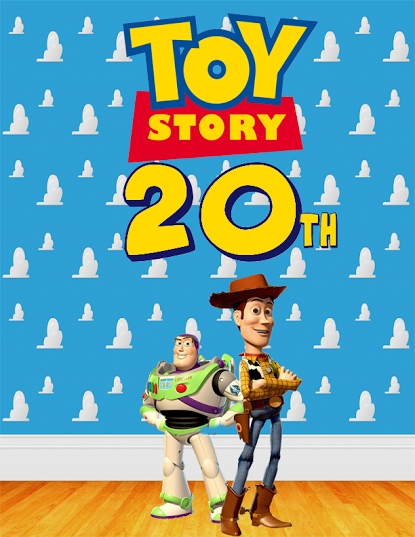 I prefer to take an optimistic view of Pixar’s sequels because of the roles Pixar heroines, old and new, get to play. Despite popular beliefs to the contrary, I know there are more original films in the works. Coco is just the only one that’s been announced. 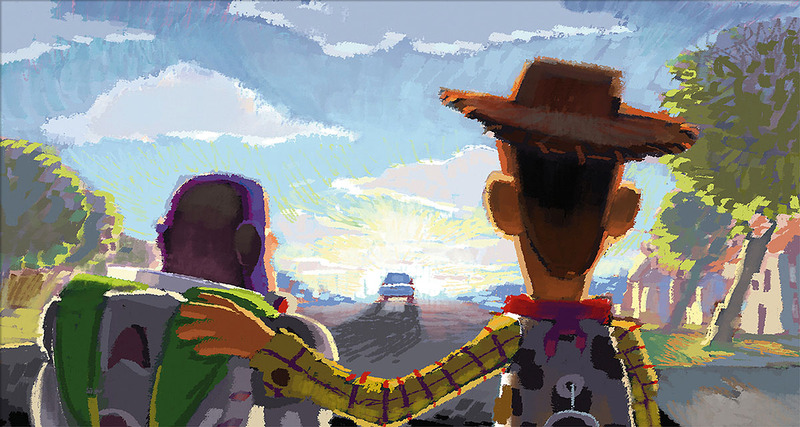 Good stories exist in Pixar’s original films and their sequels. Personally, I have yet to watch a bad Pixar film. Others don’t agree and that’s fine too. I’m not worried about Pixar making a bad film, because as I’ve seen, they’re still making good ones. Pessimism is tempting, but as Dory says, there’s always another way. Disney/Pixar presents a special sneak peek at the studio’s highly anticipated Toy Story short, Hawaiian Vacation! Official Synopsis: "Set in new owner Bonnie’s bedroom, Hawaiian Vacation features Woody (voice of Tom Hanks) and Buzz (voice of Tim Allen) and the rest of the favourite Toy Story 3 toys as they create the ultimate Hawaiian vacation for Ken (voice of Michael Keaton) and Barbie (voice of Jodi Benson). It seems Ken badly miscalculated their travel arrangements, so the gang has to create a dream getaway in Bonnie’s Midwestern bedroom – in the middle of winter. Toy Story Hawaiian Vacation also features the voices of Joan Cusack, Wallace Shawn, Don Rickles, Estelle Harris, Blake Clark, Bonnie Hunt, Timothy Dalton, Kristen Schaal, Jeff Garlin and John Ratzenberger." Hawaiian Vacation premieres in front of Cars 2 on June 24! Don’t forget to check out first look images of this short here. Update: Stitch Kingdom brings us another new image from the short! The 83rd Annual Academy Awards are here, celebrating the biggest achievements in filmmaking from the past year. Pixar has a lot to celebrate with a total of six Oscar nominations including a spot in the Best Picture category. Toy Story 3 landed five competitive nods with an additional mention for Day & Night. Pixar nominations are listed below. During the show, winners will be moved from the "Nominated" list to the "Winners" list. Additionally, Pixar highlights will be posted during the telecast in the "Commentary" section. 7:30 — Darla K. Anderson’s mom appears on ABC’s "mominees" montage. 8:30 — Toy Story 3 appears in Best Picture montage. 9:05 — Best Animated Short up, The Lost Thing wins. 9:10 — Toy Story 3 wins Best Animated Film! Pixar’s sixth win in the category. 9:10 — Lee Unkrich accepts; thanks Academy, Lasseter, Catmull, et al. 9:15 — Best Adapted Screenplay up, The Social Network wins. 9:50 — Best Sound Editing up, Inception wins. 10:00 — Sci-Tech montage, Pixar’s David Laur honored for "Alfred" program. 10:05 — Randy Newman performs "We Belong Together" from Toy Story 3! 10:45 — "We Belong Together" by Randy Newman wins Best Original Song! 10:45 — Randy jokes about being nominated twenty times; winning twice. 11:35 — Toy Story 3 featured in Best Picture montage. 11:40 — Best Picture up, The King’s Speech wins. The 83rd Annual Academy Awards are presented by the Academy of Motion Picture Arts and Sciences. Watch the Oscars today (2/27) starting at 8ET/5PT PM LIVE on ABC! International readers, please check your local listings. Congratulations, Lee Unkrich, Randy Newman and the entire Toy Story 3 crew! Entertainment Weekly brings us our first ever look at Pixar’s new short, Hawaiian Vacation! Directed by Gary Rydstrom, the first installment in the ‘Toy Story Toons’ series returns fans to Bonnie’s room as she gets ready for a trip to the Aloha State. It appears as though the toys have island plans of their own, too. Although the latest issue of Entertainment Weekly is in stores now, the exclusive Hawaiian Vacation images are not yet officially online. However, IndieWire has provided scans and from what we’ve seen some far, the short’s production design looks top notch. Hawaiian Vacation will premiere in front of Cars 2 when it begins its US run on June 24. Other ‘Toy Story Toons’ are set to play subsequently; notably, a second short will be attached to Disney’s The Muppets in late 2011. 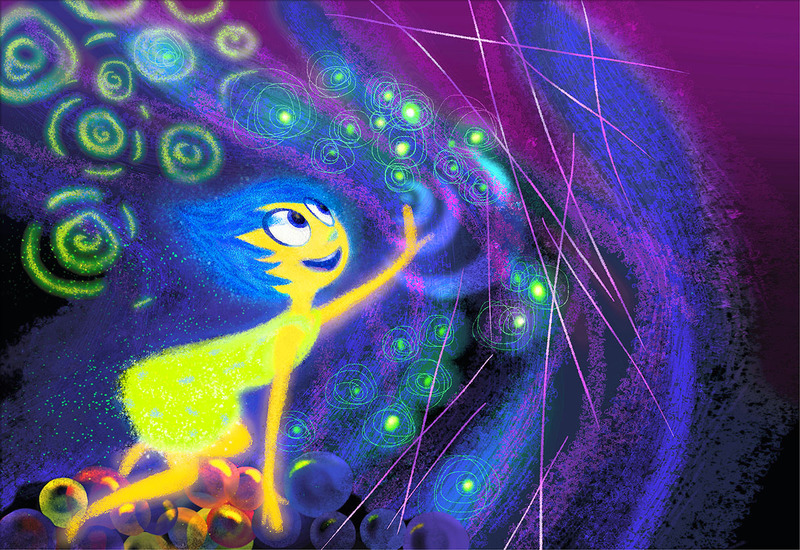 Update: Disney/Pixar has released both preview images in full high resolution! Click to view larger.